Cape Town - Former Pumas coach Jimmy Stonehouse is reportedly on his way back to the Mpumalanga union. 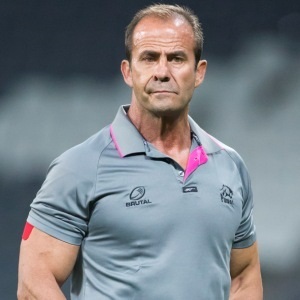 According to Netwerk24, Stonehouse will become the Pumas’ director of rugby, a new role created by the union. The Pumas are expected to make the announcement official in January 2018, the Afrikaans website reported. The 53-year-old Stonehouse was head coach of the Pumas between 2008 and 2015, before leaving to coach the Toshiba Brave Lupus club in Japan. Stonehouse will be at the forefront of the Pumas’ strategic plans for the future, while Brent Janse van Rensburg will remain as the team's head coach. The Pumas are hoping to acquire franchise status in order to participate in the Anglo-Welsh Cup in Europe. The Anglo-Welsh Cup is a knock-out competition featuring 12 English Premiership clubs and the four Welsh regions. English publication, BBC Sport, earlier this year reported that Premiership Rugby was investigating the possibility of introducing South African teams into the competition. According to the report, changes to rugby's calendar post-2019 would offer English rugby bosses the chance to invite Currie Cup teams into the developmental tournament. Griquas are believed to be the other team touted for the Anglo-Welsh Cup. The prospective competition would run during the international windows in November and February/March.